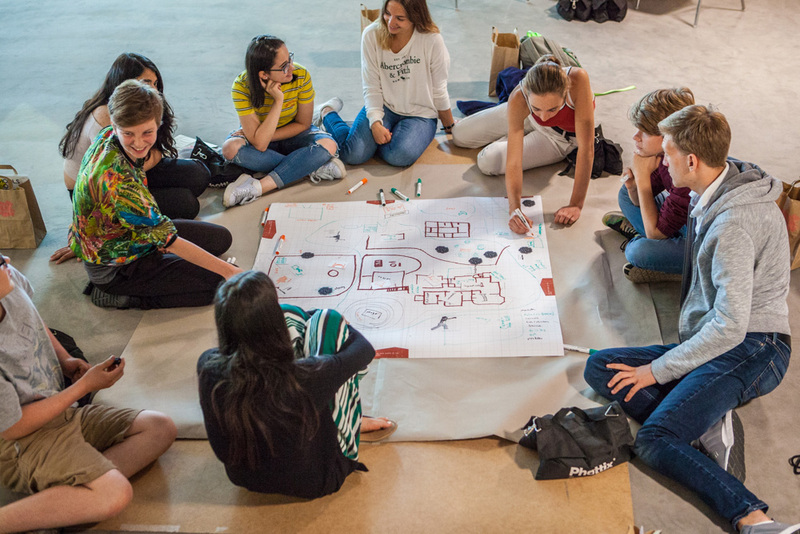 In the school project accompanying the exhibition, students from four Berlin schools, together with representatives from art and architecture, with media educators and educational activists, explore how Bauhaus ideas influence their own present and can contribute to actively shaping the future. What might a Bauhaus school look like today and what educational approaches of the Bauhaus can be employed to develop schemes for alternative forms of learning in the future? What housing and design questions arise amidst current social changes? And how can a living environment with low resources be actively shaped? Who really learns from whom in cultural and creative processes? And can the Bauhaus be transferred to the digital age? On this day, the work resulting from the projects will be presented and discussed at HKW.